How the Denver Broncos defense beat Tom Brady and the Patriots in the AFC Championship (VIDEO). 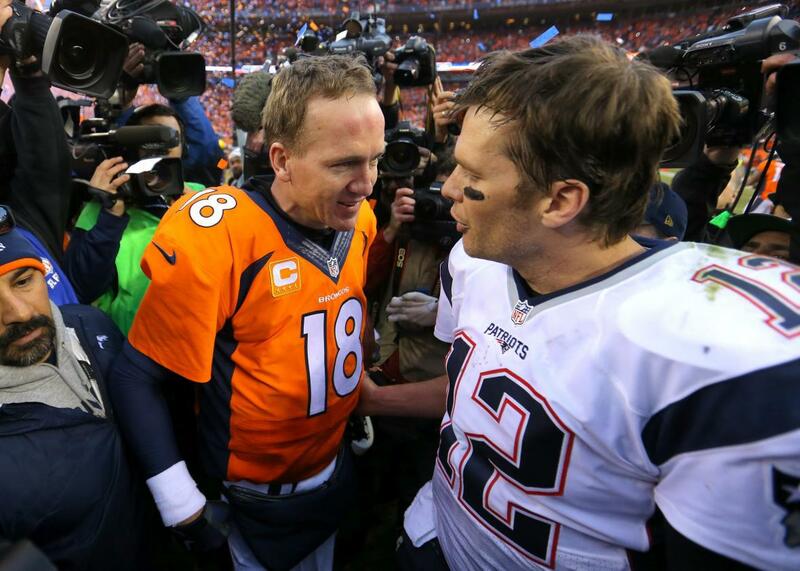 Peyton Manning and Tom Brady share a moment after Denver’s 20–18 victory in the AFC Championship game. In a tense, suffocating contest on Sunday, the Denver Broncos defeated the New England Patriots 20–18 to win the AFC Championship and claim a ticket to Super Bowl 50. Before kickoff, the game was billed as the latest legacy tussle between Tom Brady and Peyton Manning, two very old, very successful quarterbacks who have met in the conference championship four times and led their teams to appearances in six of the past 10 Super Bowls. But in their 17th meeting, the duo had little time to add new sets of heroics to their rivalry; most of their energies were invested, instead, in trying to keep upright. From ESPN research- Brady hadn't been hit more than 12 times in a game this season. Today he was hit 23 times. It’s worth noting that despite only winning six of their 17 matchups, Manning now has a 3–1 record against Brady in AFC Championships. Ultimately, the Patriots were held to their lowest point total of the season. And so it was that Manning, now the oldest quarterback to go to a Super Bowl, defeated his arch-nemesis without really having to defeat him at all. *Correction, Jan. 24, 2016: This post originally misstated that Tom Brady was sacked on third-and-goal during the game’s final drive. He was tackled, then threw an incompletion.